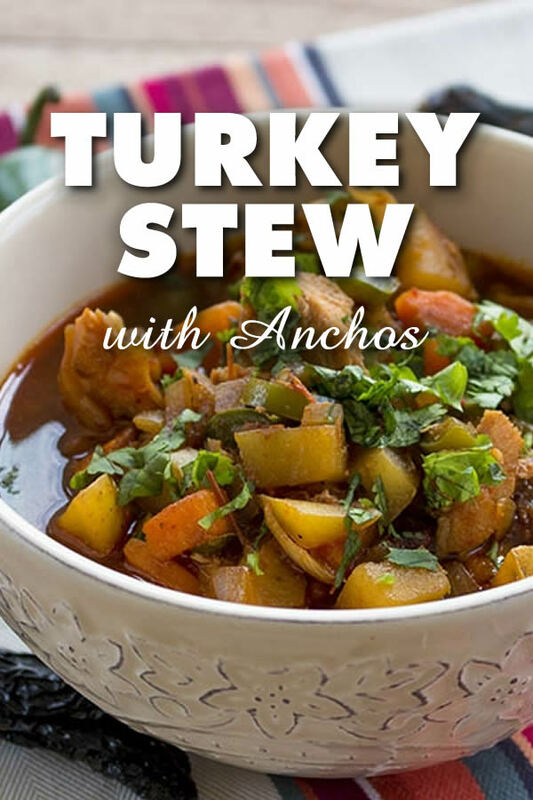 A hearty turkey stew recipe that is perfect for your turkey leftovers, with ancho chili peppers, jalapeno peppers and plenty of vegetables. Nice and hearty. These are the types of meals I like to make on a fairly regular basis. It doesn’t take very long, is pretty easy to make, and incorporates a lot of healthy vegetables. This turkey stew makes excellent use of dehydrated peppers, which impart a lot of flavor to the dish. 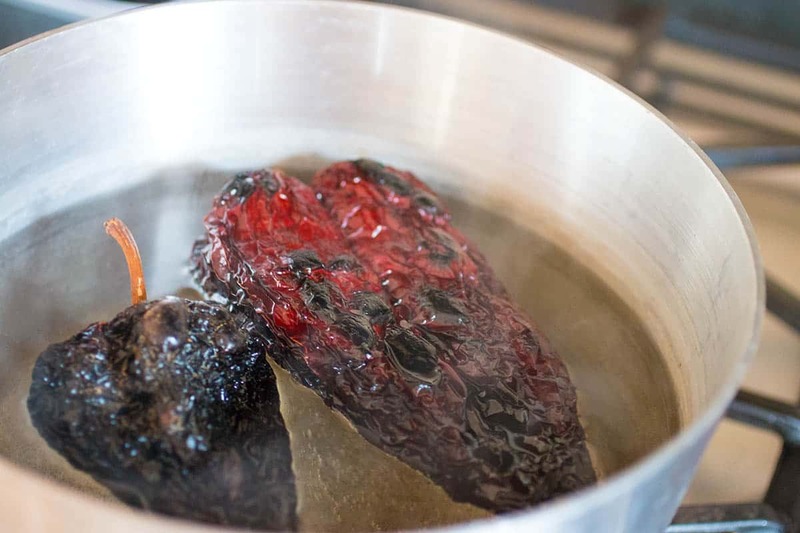 Ever cooked with dehydrated peppers? Be sure to rehydrate them first so you can blend them into the paste that will be incorporated into the mix. 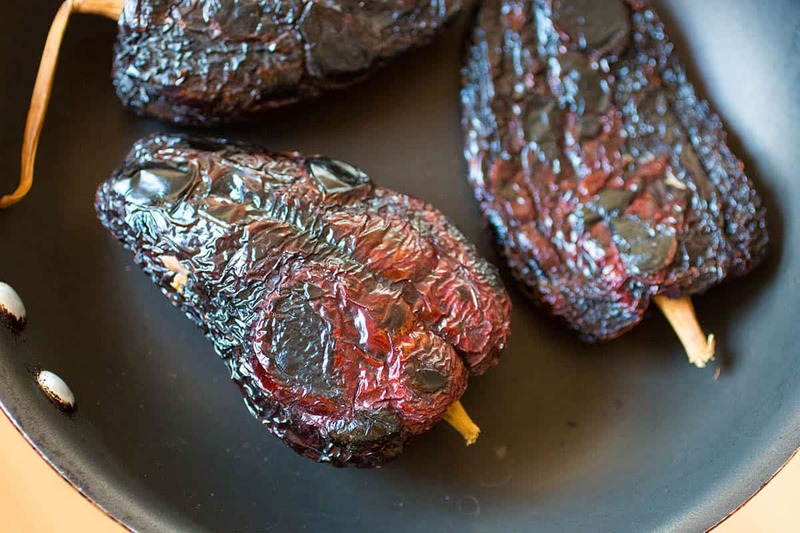 Here’s a helpful link – How to Rehydrate Dried Chili Peppers – though the instructions are listed below. This recipe is also ideal for leftovers! Yes, this is why we made the stew. Leftover Thanksgiving turkey. We didn’t cook Thanksgiving dinner this year but everyone took home some of the leftovers and we got a bag of turkey meat. If you don’t have any leftover turkey, use cooked chicken instead. The meat will absorb the flavors of this stew, which are outstanding. First, heat a large pan to medium-high heat and dry roast the ancho peppers about 30-60 seconds per side. They will become slightly puffy and fragrant. Set the ancho peppers into an oven proof bowl and pour boiling water over them. Use just enough to cover the peppers. Cover and allow to sit 15-30 minutes, depending on the thickness of your peppers. Keep about a cup of the water, as it is great to use and has a lot of nutrients now. Scoop out the ancho innards and discard. 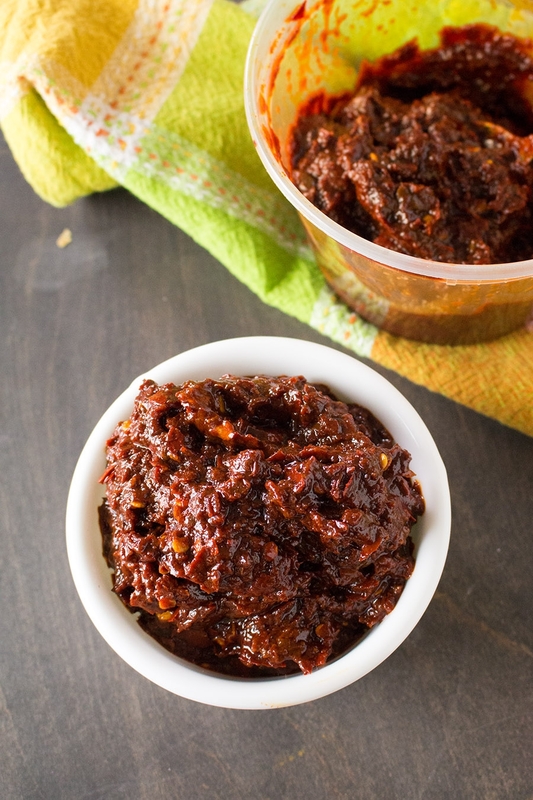 Puree the ancho peppers with a couple tablespoons of the reserved water in a food processor to form a quick paste. Set aside until ready to use. Next, heat a large pot to medium heat. Add olive oil and heat. Add carrot, potatoes and onions. Stir and cook about 5 minutes. Add jalapeno peppers and cook an additional 5 minutes to soften everything. Add garlic and cook 1 minute, stirring often. Add turkey, cumin and chili powder and stir. Cook about 1 minute. Add ancho chili paste, the remainder of the reserved water, and chicken broth. Add salt and pepper to taste and bring to a low boil. Reduce heat and simmer about 15 – 20 minutes to allow the flavors to combine. Serve into bowls and top with chopped cilantro. Enjoy! BOOM! DONE! Easy, right? And tasty for sure. It brings a LOT of flavor to this turkey stew, so don’t skip it. It’s an essential ingredient! 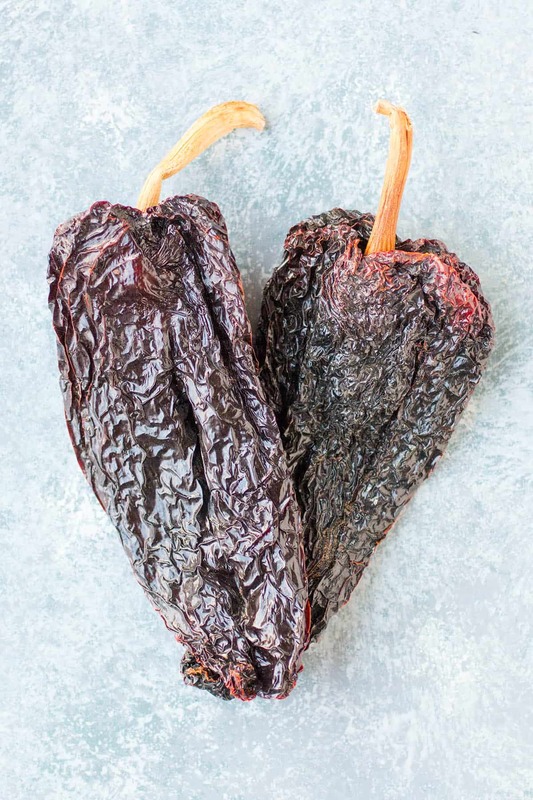 Learn more about Ancho Chili Peppers here. A quick tip about the cumin. You can use store bought ground cumin, but I like to cook with cumin seeds. They are fresher and have much more of that flavor you want. Simply dry roast the cumin seeds in a pan over medium heat until they start to darken. It only takes a couple minutes. Then grind them in a mortar to a powder and use. Heat a large pan to medium-high heat and dry roast the ancho peppers about 30-60 seconds per side. They will become slightly puffy and fragrant. Heat a large pot to medium heat. Add olive oil and heat. Reduce heat and simmer about 15 - 20 minutes to allow the flavors to combine. This turkey stew looks SO incredibly delicious, comforting and hearty – a recipe I need to make!